We all know the restorative benefits our bodies receive after getting a good night sleep. 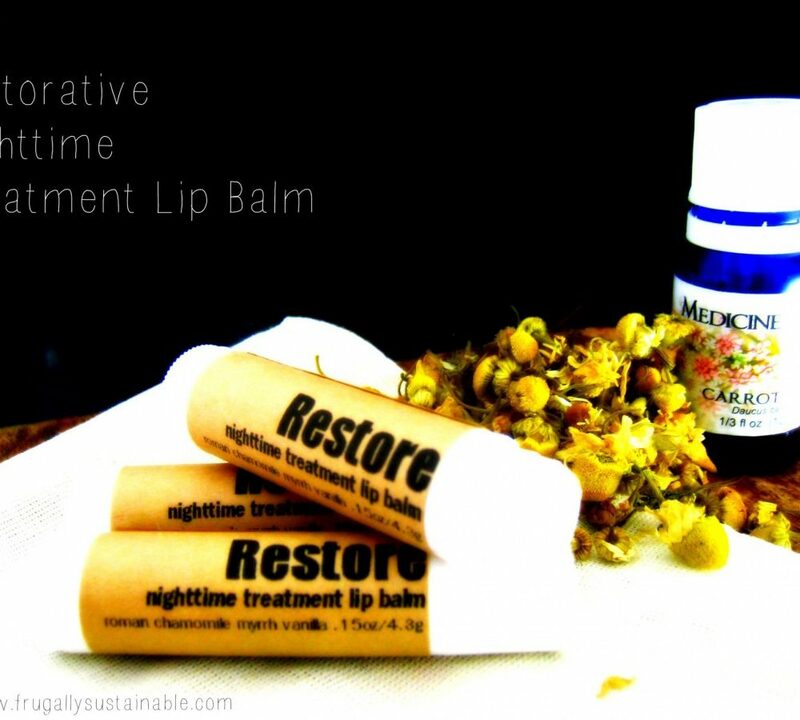 So what a perfect opportunity to nourish our lips! Ultra rich and creamy…this balm will allow you to wake in the morning with super silky smooth lips! Not to mention, chamomile, myrrh, and vanilla will help calm the mind and soothe you to sleep. In a small sauce pan or double boiler, over low heat, melt oils, butters, and beeswax. Add extract and essential oils. 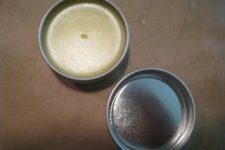 Pour into jars, tins, or lip balm tubes. Allow to cool and harden on a flat surface. 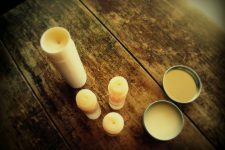 –Mountain Rose Herbs…they have everything you’ll need for this balm! It’s your one-stop-shop! –Starwest Botanicals also has a beautiful selection of Bulk Herbs and Natural Products for Healthy, Natural Living! –The Bulk Herb Store carries many of these ingredients if you’d like to price check. 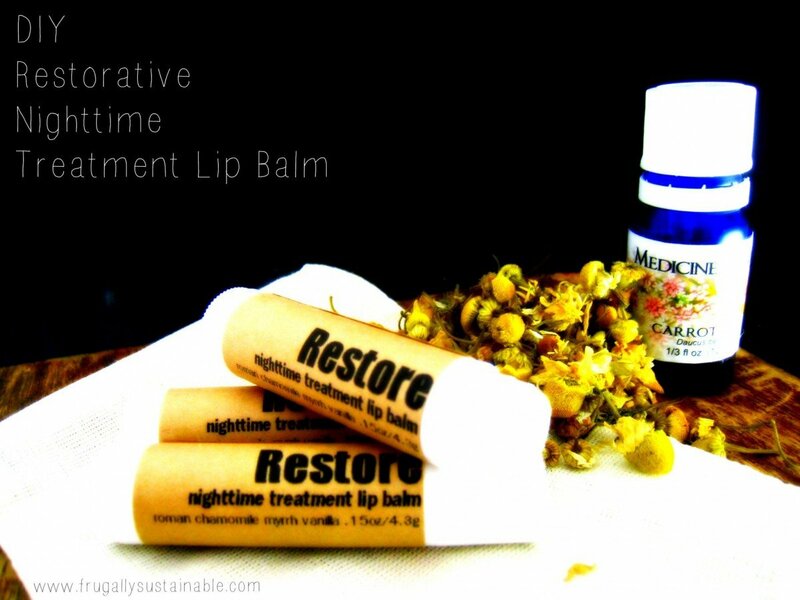 Interesting idea for a restorative lip balm. I have never heard of balsam peru essential oils. What benefits does it have fr the lips/skin? Thank you for sharing many great posts on your blog. I really enjoy reading it! Not sure if you realize this, but Mountain Rose Herbs has been having exorbitant problems with both their website’s ordering system and “customer service”. It started as a thing where they said they were going to have a new and improved cart, and now it is technical problems galore they claim no responsibility for. But, getting to the point – their affiliates are not getting paid right now. So plugging them at this time will not net you anything due to “technical issues”. 🙁 You may or may not have known this already but thought I’d warn you just in case you didn’t. Have a great day! Celiza and the woman who runs this website; if you don’t have sitemeter or something similar, you should. If Mountain Rose is having issues right now what you can do is track how many people actually click on the links to their site – that way you’d have some information in hand and maybe they can count some of those visits and give you a credit or something (if they really are having issues). 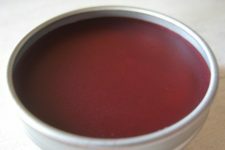 Question – so if I substitute shea butter for kokum butter then I would use 2 oz in total, right? Thanks so much for sharing your recipe. Especially nice of you since you also have the finished product for sale. I am curious about a couple of the ingredients… vanilla extract and chamomile. Is the vanilla an alcohol based extract? Do you know the flashpoint of the chamomile? I am afraid to use EOs with flashpoints below 145F-150F because I lose them as soon as they hit the melted ingredients. 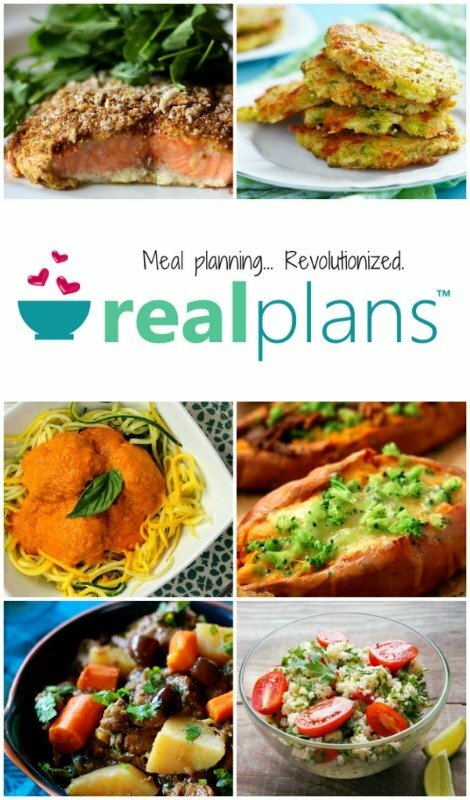 Again, thanks for sharing so many of your good recipes.